The Oster Versa keeps its top spot this year as the best full-sized blender, with the Vitamix 5200 still the top choice for heavy-duty blending tasks. We also name a couple of terrific, inexpensive blenders for occasional use, and a few that will thrill single-serve smoothie (or milkshake!) fans. Specs that Matter Capacity - 64 oz. Speeds - 3 + variable control Size (w,d,h) - 8" x 9" x 17.5"
Specs that Matter Capacity - 56 oz. 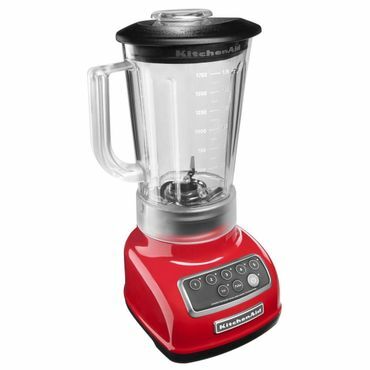 Speeds - 5 + pulse, crush Size (w,d,h) - 7.3" x 9" x 15.2"
KitchenAid is a respected name in small appliances, and the KitchenAid KSB1570ER is one in the company's line of blenders that's a good choice if you just need a blender for lighter use. Although, "light" is relative when it comes to this model. 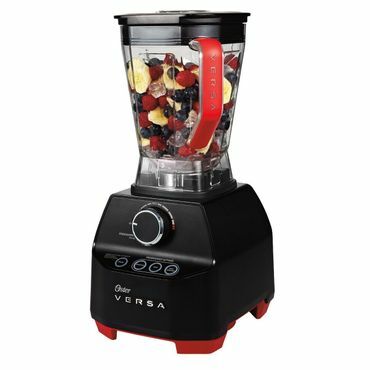 In tests, this blender does pretty well in crushing ice and frozen fruit for smoothies, and performs particularly well in making purees. At 15.2 inches high, it's a bit shorter than most full-size blenders, with a 56 ounce capacity. Operation is very straightforward and the jar is dishwasher-safe. The KitchenAid also comes in three colors. Specs that Matter Capacity - 64 oz. Speeds - 10 + variable control Size (w,d,h) - 7.25" x 8.75" x 20.5"
Specs that Matter Capacity - 32 oz. and 16 oz. Speeds - Two + pulse Size (w,d,h) - 5.3" x 5.9" x 15"
Specs that Matter Capacity - 14 oz. Speeds - One Size (w,d,h) - 4" x 4" x 11.8"
Forget about pouring coffee into that travel mug, the Hamilton Beach Single Serve Blender can make a breakfast-to-go that will fit into your cup holder. Fast and efficient, the Hamilton Beach is one of the best-reviewed single-serve blenders by both experts and owners -- even outperforming pricier models. 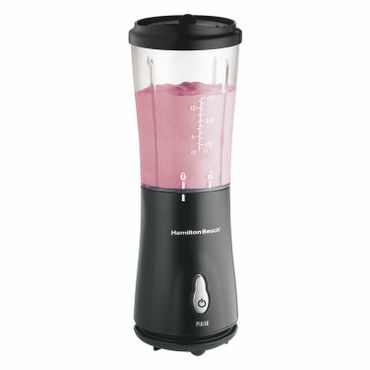 This little blender is great for commuters or just for those who are the only smoothie fans in the house. And, if you like rocking the coordinated look, this little blender comes in a variety of colors -- so you can buy one to match every outfit. Most people just need a blender for general use; if that's you this is the type of blender you're looking for. They perform well for most basic tasks, such as pureeing sauces; making smoothies and milkshakes; and, usually, crushing ice. They don't do as well at that latter task as heavy-duty blenders, however, and they might struggle to blend tough vegetables like kale and celery. 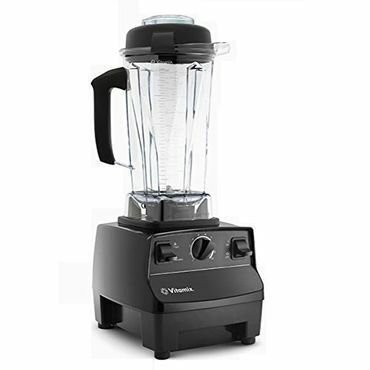 This type of blender always finishes at the top of professional tests, but they're also at the top end of the price scale. These are the countertop blenders that you need if you want to grind grains into flour, blend hot ingredients, heat cold ingredients, and turn out perfectly silky purees. They also do well making things like salsas, where a consistent, yet chunky, texture is important. These high-end machines can even replace your juicer because they can pulverize leafy vegetables, like kale. For the smoothie fan, there's no better choice than a single-serve blender. These small blenders are just loads of fun -- simply toss your smoothie ingredients into the container, blend, remove the cup, and drink. Most come with travel mugs so you can take your smoothie on-the-go. 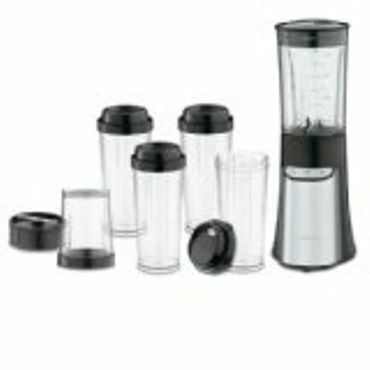 Some models are individual units, while others are larger units that include one or more individual serving cups, making them both a full-sized blender and a single-serve blender. These are not particularly well-suited to heavy-duty tasks like ice-crushing and pureeing veggies, but if you stick to fruits, yogurt and other milkshake/smoothie ingredients, they'll do just fine. What else do you need for your food prep? Countertop blenders aren't the only appliance that can come in handy in the kitchen. If most of your blending involves making emulsions or blending ingredients on the stove, an immersion blender will be a great tool for you. This is merely a stick with a blender at the end and it's highly portable so, instead of bringing the ingredients to the blender, you bring the blender to the ingredients. If you rarely blend, but you cook or bake a lot, a food processor is almost a must have as it makes short work of a huge variety of food preparation tasks. Are your only blending interests making a wide variety of smoothies? Then you definitely need a juicer, which has a dedicated process for grinding out every last bit of juice, nutrients and enzymes from soft and hard fruits, as well as the most challenging leafy vegetable. Each of these small kitchen appliances is covered in its own ConsumerSearch report. "The Best Blenders of 2017"
To make our top picks in countertop blenders, we analyzed blender reviews from a number of expert sources to find those blenders that are top performers, yet easy to use and clean. Experts at Consumer Reports and Cook's Illustrated thoroughly test blenders, powering through everything from ice cubes to fibrous frozen pineapple to find the sturdiest blenders with the smoothest results. We also consulted comparison-test results from Good Housekeeping, CNET and Wirecutter. One shortcoming with professional reviews is that they typically only analyze a given product over a short period of time, and under sometimes ideal conditions. Because of that, we also consulted hundreds of owner reviews, which are a great resource for learning about real-world performance and long-term durability. The results of our research is a roundup of the best blenders for any lifestyle need.